I hope you are all having a wonderful and blessed Sunday! Now let’s jump right in! This week was a great week on the track! We finished up our first cycle so it was a recovery week. We even had Saturday off! Yes, typically we practice Monday – Saturday. Anyways, this week I was focused on being consistent especially during our long running workouts. While I, of course, want to be consistent with everything, I put an emphasis on my longer workouts this week. I am accustomed to running myself into shape and by that I mean running (almost) as hard as I can every rep until I run out of gas. The consequence of that is I do well on some reps and end up jogging random reps or the last few; making me very inconsistent. My new coach however does not believe in “slugging around the track”. He pulled me to the side last week and said if I couldn’t handle the reps he would put me with the group that does shorter reps with less recovery. That was all the motivation I needed to be consistent during my workouts instead of exerting all of my energy on only a few reps. Now this doesn’t mean sitting in the back every rep either, more-so relaxing and having control over how much effort I am using. So this week I retained some of my energy, relaxed and focused on being consistent on every rep! And I experienced much improved workouts!! Not only was every rep fast and reasonable but they were all quality! And I wasn’t much off from the all out efforts I did last week! Sometimes, it is okay to slow down a little bit and have more quality runs than being a speed demon and struggling through the workout. Remember to aim for Consistency! It is great if you can do a workout and have really fast reps but it is not great if your reps are all over the place. You have to figure out what speeds your body can handle and be consistent. Blasting a few reps and dying the rest of the workout actually ruins the quality of the workout. Aim to be consistent! Even if it is a little slower. Your body will thank you for it and you will be able to track your improvement much better. Communicate with your coach and let them know how you are feeling, if the pace is too fast or slow. Be transparent so they can adjust the workout to something that may suit you better. This is not a free pass to slack off! But all athletes were not made the same and everyone has different needs, so work with your coach to see what works best for you and what paces you can be consistent at and build from there. Be consistent! Make a schedule and stick with it! We are all busy but if you really want to see improvement you have to be consistent! Whether that be 2 or 3 days a week or everyday, just be consistent in whatever schedule you make. Not only should you be consistent with your schedule but you should be consistent with your reps. If you are weakening or not giving good quality reps, STOP! Build up! Remember Quality over Quantity! You will get there, if you keep working at it but doing things sloppy or using half effort isn’t the way to go. Now I know you didn’t think that was the only tip I had for you! Lol. Abs are important and everyone wants a flat stomach so to go along with Elge’s tip, I provided a photo of some great ab exercises below! And I have a video below of me doing two of my favorite ab exercises; the suitcase and v-ups! I suggest doing abs right after a workout or after cardio that is when you get the best results and the best burn! I always do them after long runs. 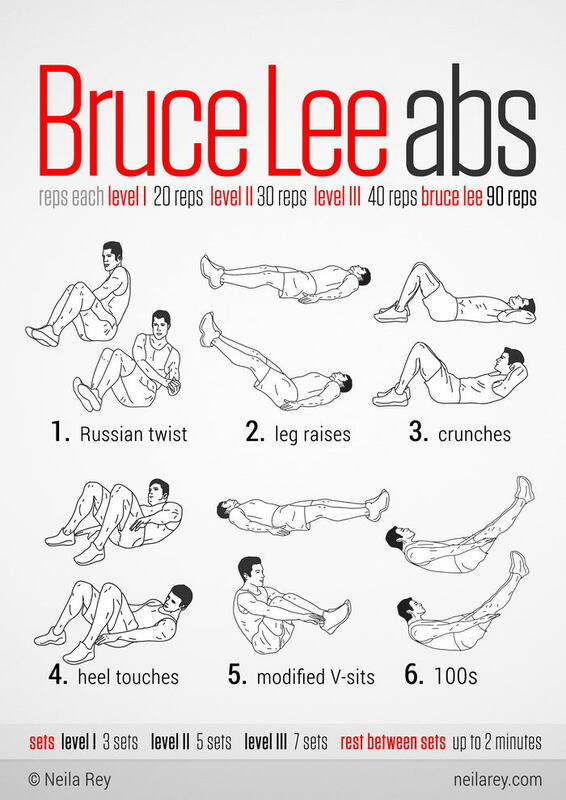 For this ab exercises start off with 10 reps, 2-3 sets and work your way up as you get more comfortable doing them. Along with abs, core/stability work can also yield great results when it comes to your stomach. Next weeks workout tips will focus on core/stability workouts so stay tuned!